Get your boxed bike delivered here and built ready to ride by our expert mechanics! ﻿Buying a bike for a loved one for Xmas? Wondering how to get it delivered and still keep it a secret? 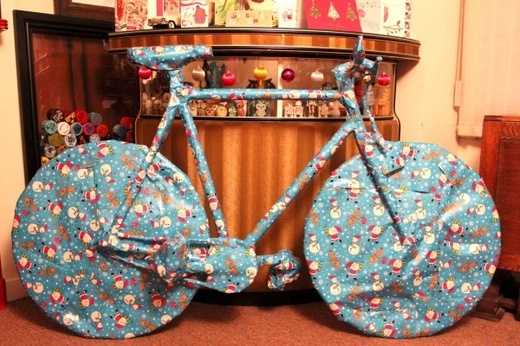 Have it delivered to The Cycle Hub and let our qualified mechanics build it so you can rest assured that it'll be safe and ready to ride on Christmas morning! Worried about the extra cost? Don't worry! All we ask is £30 for taking delivery, unpacking it, building it, keeping it safe until you collect it AND you can bring it back after a few weeks to have the cables nipped up. Bargain! Disclaimer: We won't be wrapping it like the photo. That's purely a just-for-fun pic!